Fluoride is the name given to a group of compounds that are composed of fluorine and one other elements. Fluorides are present naturally in water and soil at different levels. In the 1940s, scientists became aware that people living near drinking water supplies had naturally occurring fluoride levels of approximately 1 part fluoride per million parts water or greater had fewer dental cavities. Many studies over the past 70 years have supported this finding (1). It was later found that fluoride can prevent and even reverse tooth decay by hindering bacteria that produce acid in the mouth. It also boost remineralization, the process through which tooth enamel is “rebuilt” after it begins to decay (1, 2). In addition to building up in teeth, ingested fluoride accumulates in bones. Moderate amounts prevent dental caries (cavities), but long-term ingestion of large amounts can lead to potentially severe skeletal problems. The control of drinking-water quality is therefore critical in preventing fluorosis and only providing help for dental cavities. Water fluoridation is the process of adding fluoride to the water supply so the level reaches approximately 0.7 ppm, or 0.7 milligrams of fluoride per liter of water; this is the optimal level for preventing tooth decay (1). Fluoridating the water began in 1945 in Grand Rapids, Michigan. They adjusted the fluoride content of its water supply to 1.0 ppm and thus became the first city to implement community water fluoridation. By 2008, more than 72 percent of the U.S. population served by public water systems had access to fluoridated water (3). More than 70 years of scientific research has consistently shown that an optimal level of fluoride in community water is safe and effective in preventing tooth decay by at least 25% in both children and adults. Simply by drinking water, Americans can benefit from fluoride’s cavity protection whether they are at home, work or school. The Centers for Disease Control and Prevention named community water fluoridation one of 10 great public health achievements of the 20th century. Where can people find additional information on fluoridated water? The CDC has information on standards for and surveillance of current fluoridated water supplies in the United States.The Environmental Protection Agency can provide more information about drinking water and health, including details about drinking water quality and safety standards. Centers for Disease Control and Prevention. Achievements in public health, 1900–1999: fluoridation of drinking water to prevent dental caries. Morbidity and Mortality Weekly Report 1999; 48(41):933–940. Centers for Disease Control and Prevention (August 2010). 2008 Water Fluoridation Statistics. Retrieved August 10, 2011. Committee to Coordinate Environmental Health and Related Programs, Ad Hoc Subcommittee on Fluoride (February 1991). Review of Fluoride: Benefits and Risks. Public Health Service, Department of Health and Human Services. Retrieved August 10, 2011. National Research Council, Subcommittee on Health Effects of Ingested Fluoride. Carcinogenicity of fluoride. In: Health Effects of Ingested Fluoride. Washington, DC: National Academy Press, 1993. Kim FM, Hayes C, Williams PL, et al. An assessment of bone fluoride and osteosarcoma. Journal of Dental Research 2011; 90(10):1171–1176. 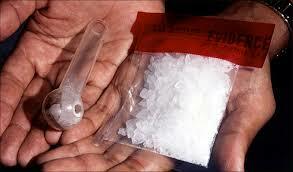 Methamphetamine is a synthetic drug with more rapid and lasting effects than amphetamine. It is used illegally as a stimulant and as a prescription drug to treat narcolepsy and maintain blood pressure. The use and production of methamphetamine is becoming a huge problem in the U.S. This drug is illegal and highly addictive. Common names for the drug are ice, meth, speed, crank, quartz, crystal and poor man’s cocaine. Using methamphetamine can cause major health issues as well as serious problems to your mouth and teeth. The “high” from meth last for about 12 hours. During that time, your body’s salivary glands diminish causing a dry- mouth feeling. This state is commonly referred to as “meth mouth”. Without the aided production from your salivary glands, the acids on your teeth will destroy the tooth enamel which in turn leads to tooth decay. It is also reported by users, while using meth, it is common to consume high calorie carbonated drinks and foods and tooth grinding and clenching occurs. This in turn compounds the problems. A meth user will see serious affects related to their teeth in a short period of time. 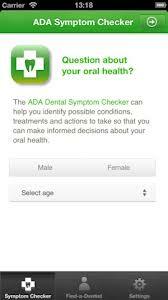 The ADA stated users can go from having a sparkling smile to one of decay and tooth loss in about a year. So what can your dentist do? Without the user discontinuing the use of the drug, the damage will continue to diminish a person’s teeth. The damage can not be addressed until that first step is taken. You need the production of your salivary glands to stop the damage and while using, that would be impossible.